The commissioning of Yanbu South Terminal (YST) this week marked the addition of 3 million barrels per day to Saudi Arabia's west coast export capacity. The first VLCC was loaded at the terminal on October 12. 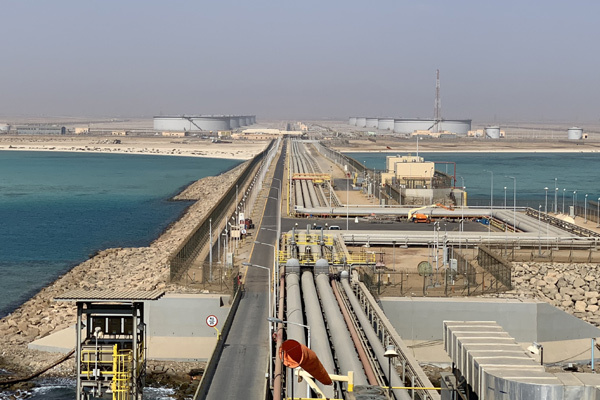 Yanbu South Terminal, which is located south of Yanbu City on the west coast of Saudi Arabia, consists of a tank farm and offshore facilities to receive, store and load Arab Light (AL) and Arab Super Light (ASL) crude oil. The facility’s integration with the existing crude oil supply network adds 3 million barrels per day to Saudi Aramco’s export capacity through the west coast, thereby reinforcing the reputation of Saudi Aramco as a reliable energy supplier to customers throughout the globe, said an Aramco statement. The terminal’s programme was designed and executed in accordance with the latest Aramco engineering standards and specifications where operational, safety and environmental systems are state of the art. “The successful startup of Yanbu South Terminal is another milestone in reinforcing Saudi Aramco position as the world’s leading integrated energy and chemicals producer, operating in a safe, sustainable, reliable and environmentally-friendly manner,” said Abdullah M Al-Mansour, executive head of pipelines, distribution, and terminals.